We’d love your help. 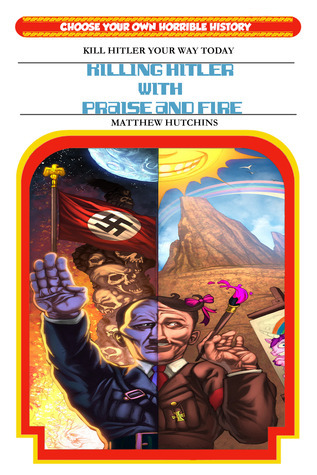 Let us know what’s wrong with this preview of Killing Hitler With Praise And Fire by Matthew Hutchins. To ask other readers questions about Killing Hitler With Praise And Fire, please sign up. My husband, brothers-in-law, father-in-law and I fought over this book. It's a fabulous throwback to our love of choose-your-own adventures 30+ years ago. Probably the most fun we've had with a book in a decade! The only thing stopping this from receiving five stars is the desperate need for a good, thorough editor. Matthew Hutchins is a novice Australian writer having so far released two books, Ulfus and Killing Hitler With Praise And Fire, the first in a line of choose your own horrible history books. By day he works in a Government department, plotting his escape route for when the Nazi Zombies come.